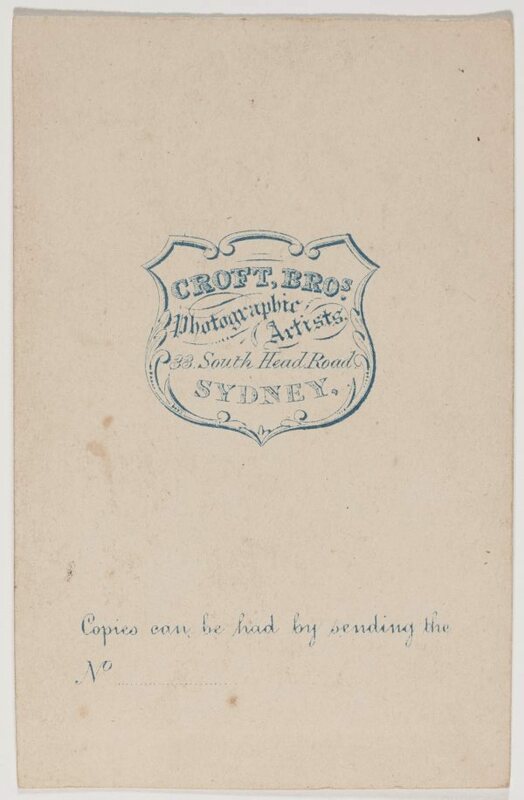 The Croft Brothers ran a successful photographic business catering to the middle and upper classes in Sydney. 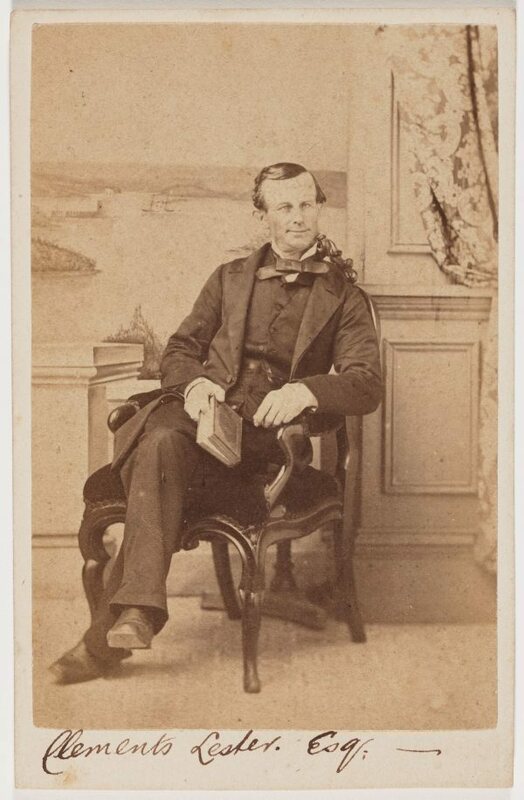 They transferred their business from Dartmouth, UK, to South Head Rd Sydney in 1863, where they often used a panorama of the harbour as a studio backdrop for their portraits. While only in Sydney for two years, the Brothers ran a popular outfit, producing thousands of portraits and cartes de visite. In 1865, the business was offered for sale in the 'Sydney Morning Herald' along with more than 5,000 negatives. The same year, the Crofts returned to the UK, citing health reasons. On the journey, they stopped in New Zealand, establishing a studio in Auckland in 1865.